Tape-Rope measures only 3/8″ wide by 1/4″ high. Installed using optional track, it is 1/2″ wide by 7/16″ high. The connection fittings measure only 7/8″ in diameter. High light output – up to 80 lumens/foot. LEDs spaced every .65″ produce even and bright light. High output – White produces 80 lumens per foot. Warm White produces 72 lumens per foot. American Lighting LED Tape-Rope Hybrid line voltage kits are economical – no drivers required! Low maintenance LEDs last up to 35,000 hours. American Lighting LED Tape-Rope Hybrid is easy to use. Kits interconnect and plug into standard 120V AC receptacles. The 1.6A inverter on cord converts 120V AC power to 60 Hz DC for LEDs. Each kit includes 4 clear plastic mounting clips per foot. Optional clear plastic track is also available. Use for long or short distances where light is needed. American Lighting LED Tape-Rope Hybrid is available as a complete kit with runs as short as 3’. Kits are available up to 45.9′. Kits can be extended using a 3’, 6’ or 15’ linking extension or jumper. Bright White and Warm White LED Tape-Rope Hybrid can be extended to run up to 106 feet. Blue and Green LED Tape-Rope Hybrid can run up to 106 feet. Red LED Tape-Rope Hybrid can run up to 211 feet. American Lighting LED Tape-Rope Hybrid is flexible. It can be curved to fit a variety of applications. LEDs spaced every .65” inside durable white PVC housing with clear PVC jacket. American Lighting LED Tape-Rope Hybrid is dimmable with most standard incandescent dimmers. Retail blister packs for 3′, 6′ and 12′ kits; Retail boxes for 18′, 30′ and 45′ kits. Available in Blue, Green, Red, Bright White or Warm White. 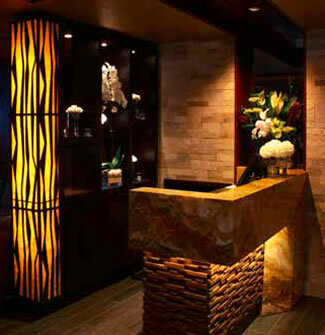 This entry was posted on January 14, 2014, in Energy Efficient Lighting, News and tagged decorative, energy efficient, in coves, LED, lighting, reception areas, restaurants and bars, retail displays, Rope Light, Tape Light, uplighting. Bookmark the permalink.